Natural and effective this concentrated wash up liquid is kind to the environment and your hands. Sustainably sourced from plant materials which come in a fully recyclable container and is BUAV and Vegan Society approved. The Ecoleaf Concentrated Wash Up Liquid - 500ml product ethics are indicated below. To learn more about these product ethics and to see related products, follow the links below. I only bought this is order to get a clear plastic squeezy bottle for another, later use! But the liquid is fine, not strongly fragranced (a benefit) and, being concentrated, is lasting quite a while. Gentle on the skin, eco friendly, effective dish washing liquid. 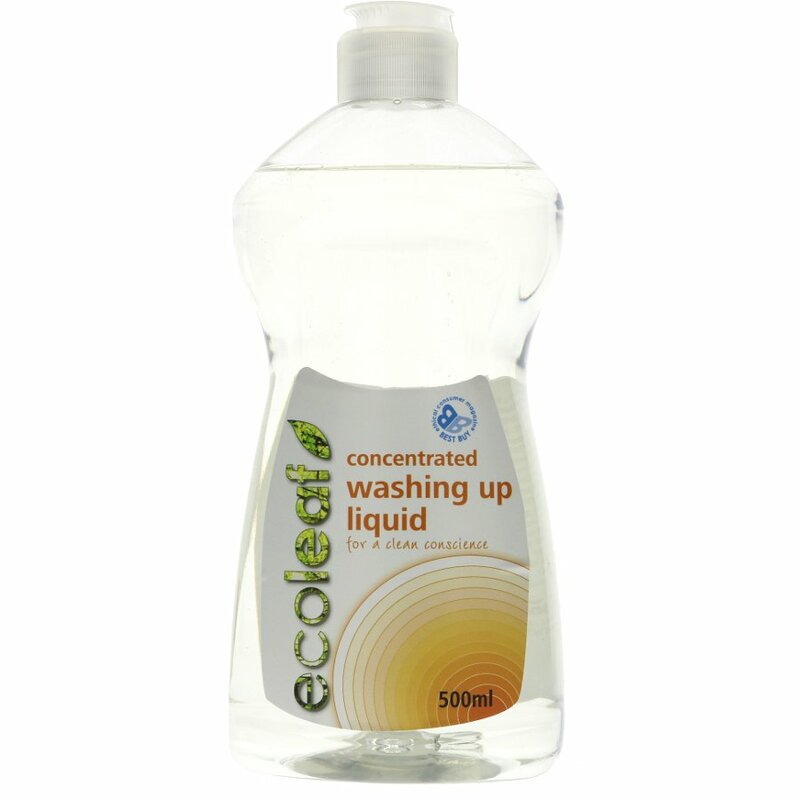 There are currently no questions to display about Ecoleaf Concentrated Wash Up Liquid - 500ml.